This room has a deluxe queen bed and designed with a romantic retreat accommodation in mind. 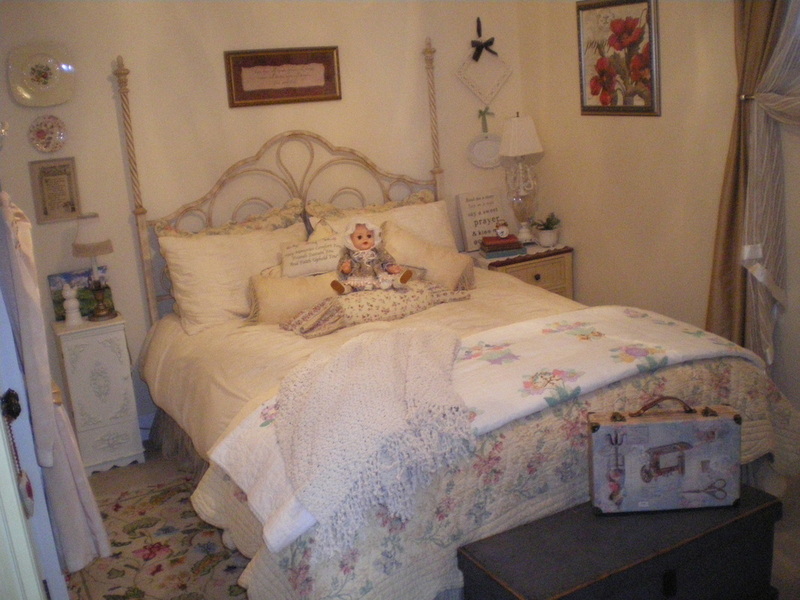 This is a rare find with luxurious linens, a feather bed and cozy up with a down filled duvet. 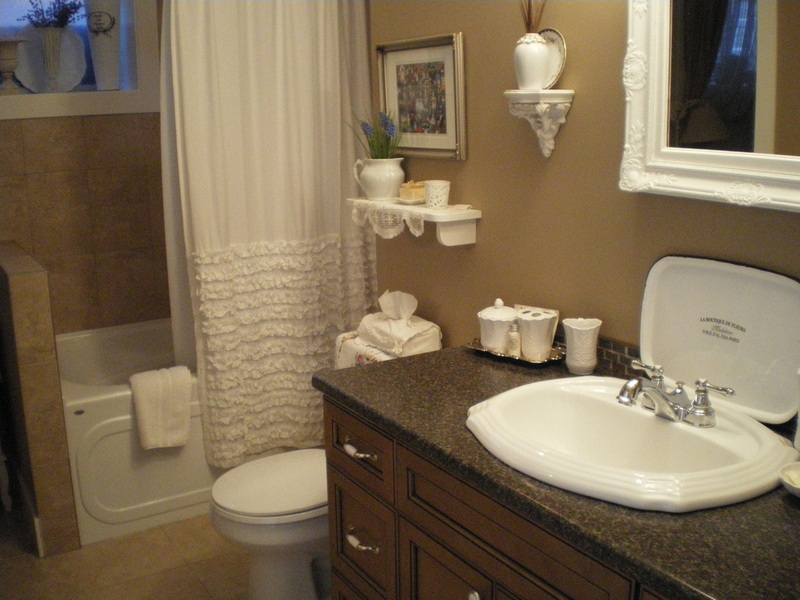 Attached ensuite bathroom comes with all the essentials complete with a bathtub and shower. Environmentally friendly soaps and shampoos are provided and made locally. Rates: $130/night up to a maximum of 2 persons/room (all taxes included). Includes continental breakfast. This room features a cozy deluxe double bed with luxurious linens, a feather bed and duvet. 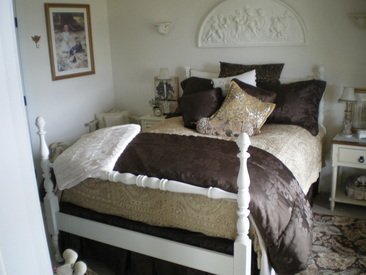 You will also have a fantastic view of Lake Okanagan for your enjoyment and a shared bath. Rates: $130/night based on a maximum of 2 persons/room (all taxes included). One or both rooms can be rented with the full living area as a suite if you prefer to have the accommodations to yourself during your stay. It includes a full living room with fireplace and flat screen TV, kitchen with microwave, mini-fridge and toaster, and walk out to a beautiful covered patio overlooking the lake and valley view. See more suite photos here. For pricing please contact us. Note: Inquire about our discount rates for longer stays. Included in your stay is a Continental breakfast (self serve), which includes fresh fruit juice, organic fair trade coffee, herbal teas, bagels, homemade muffins, jam and cereal, which can be enjoyed in your private lounge area. See more amenities included.